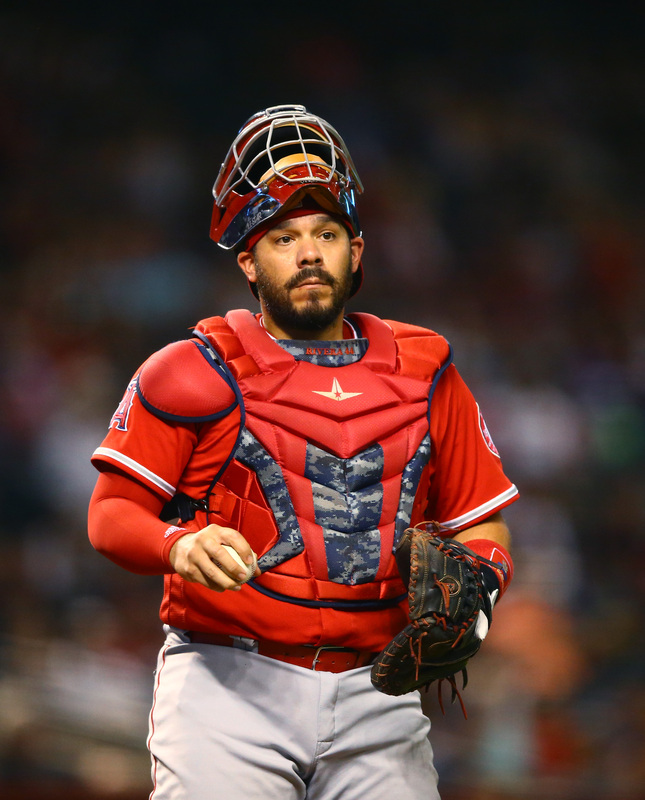 The Braves have acquired catcher Rene Rivera from the Angels, per an announcement from the Los Angeles organization (h/t Jon Morosi of MLB.com, via Twitter). The Halos allowed Rivera to depart via a straight waiver claim. With the move, the Atlanta organization will take over Rivera’s contract. Just under $500K remains on his $2.8MM salary for the year. The veteran receiver will be a free agent at season’s end. Rivera, 35, is best known for his excellent work behind the dish. He has typically graded as an excellent framer, though he has been more in range of average over the past two seasons. Rivera has also traditionally been quite effective at limiting the running game. While he missed a big chunk of time this year due to injury, limiting him to 30 games of action on the season, Rivera has also been reasonably productive with the bat. He carries a .244/.287/.439 slash with four home runs over 87 plate appearances, though he has drawn only four walks to go with 32 strikeouts. In Kurt Suzuki and the just-extended Tyler Flowers, the Braves already have two catchers who have combined to form a strong overall duo. The organization did just drop veteran depth receiver Chris Stewart from its 40-man roster, so perhaps it sees this as an opportunity to ensure there’s a reliable player in place in the event of injury. He’ll also help spread the burden down the stretch for a club that now has the inside track to winning the NL East. Contrary to a report from Sunday, the Rockies haven’t had any discussions about signing first baseman Logan Morrison, per Patrick Saunders of the Denver Post (Twitter link). Reliever Tommy Hunter has emerged as a “prime target” for the Mets in their search for bullpen help, according to Marc Carig of Newsday (on Twitter). The 31-year-old right-hander was quietly excellent over 58 2/3 innings with the Rays in 2017, recording a 2.61 ERA and putting up 9.82 K/9 against 2.15 BB/9. Count the Diamondbacks among those interested in reliever Brandon Kintzler, tweets ESPN’s Jerry Crasnick, who expects the former Twins closer to land a two-year deal. Kintzler suggested last month that his wife is rooting for him to sign with Arizona. The Twins continue to monitor him, and they’ve also checked in on almost every other available pitcher, chief baseball officer Derek Falvey revealed (Twitter link via Rhett Bollinger of MLB.com). Brewers GM David Stearns said Monday that he’s likely to “cross paths” at the Winter Meetings with the agents for second baseman Neil Walker and reliever Anthony Swarzak, Tom Haudricourt of the Milwaukee Journal Sentinel tweets. Walker and Swarzak ended last season with the Brewers after coming over in trades and performed quite well during their short stints in Milwaukee. Although the Orioles badly need starters, they’re not inclined to dole out long deals. GM Dan Duquette suggested to Eduardo A. Encina of the Baltimore Sun and other reporters Monday that four- to five-year pacts for pitchers generally don’t work out well (Twitter link). On the other hand, Duquette hasn’t closed the door on re-signing righty Chris Tillman, who figures to be an affordable, short-term pickup after enduring a dreadful 2017 (Twitter link via Roch Kubatko of MASNsports.com). As is the case with Baltimore, the Tigers are in the market for a starter who won’t require a long commitment, GM Al Avila informed reporters (via Evan Woodbery of MLive.com, on Twitter). Detroit is open to reeling in another starter on a one-year deal to join the just-signed Mike Fiers. The Blue Jays are engaging with multiple starters and relievers, GM Ross Atkins told Ben Nicholson-Smith of Sportsnet and other reporters Monday. They “will most likely add an infielder,” too, and are looking at outfielders, Atkins said (Twitter link). The Rangers are considering signing catcher Rene Rivera, per Jon Heyman of FanRag (Twitter link). The righty-hitting Rivera, who was with the Mets and Cubs last year, batted .252/.305/.431 in 237 plate appearances. 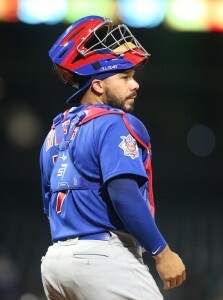 Behind the plate, he caught an excellent 38 percent of would-be base stealers (10 percent above the league average) and, as has been the case for most of his career, held his own as a framer. Right-hander Jesse Chavez appears likely to sign this week, MLBTR’s Tim Dierkes tweets. 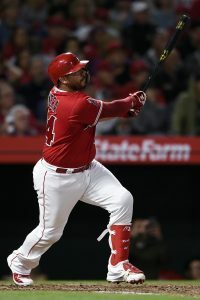 The 34-year-old Chavez spent last season with the Angels and posted an ugly 5.35 ERA across 138 innings and 38 appearances (21 starts), though he did log acceptable strikeout and walk rates (7.76 K/9, 2.93 BB/9).